One appealing use of airborne air data systems is to elaborate real-time sensors feed to obtain actionable information. In a standard system layout the data from the ADC is routed to an elaboration unit (sometimes that unit is conveniently the flight controller itself); given that sometimes we don’t have the necessary room on the flying platform or we desire to reduce the budget of a relatively standard application. Getting down to a practical example, let’s pretend we want to use the data from our 8 mm pitot to enhance our beloved RC scale model flight safety. Having a pre-stall warning system should be excellent. First of all, we do not need to split the hair, and we depart from the analytical approach too. We need a robust, reliable, indication of low airspeed during landing instead. 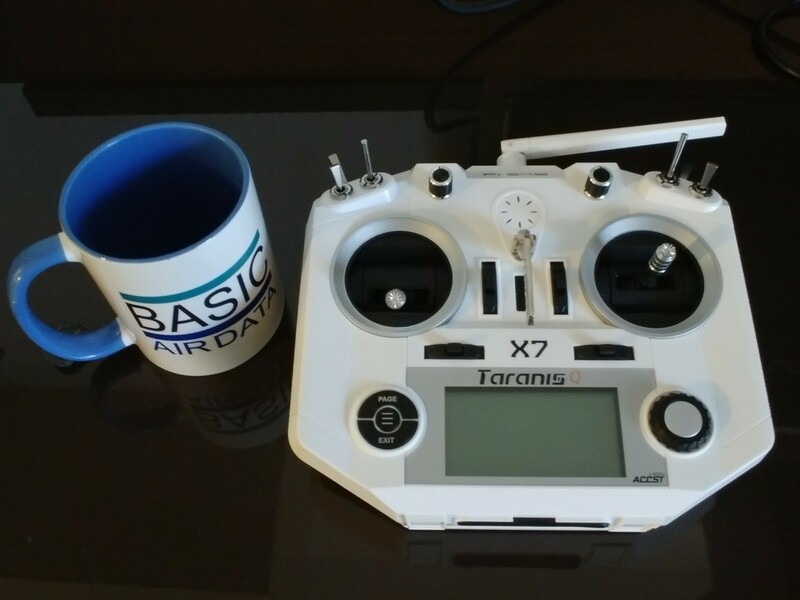 Last year the Taranis X7, the new FrSky telemetry enabled transmitter, hit the street. Apart from standard functions commons to other RC gears, this TX has an OpenTX firmware. The ability to run user scripts from an SD card is mesmerizing and useful. If you are not used to LUA scripts check out tutorials on RCdiy.ca. In detail, you find a working, and hackable, LUA script on Github. It is evident that the pre-stall warning speed shall be set up by the user and it is dependent on the RC model. A robust first guest value is 0.8 times the take-off airspeed; the higher, the safer. A landing at high airspeeds also can be risky, so we need an upper bound to the airspeed. This airspeed value should have a first guest value around 1.5 times the take-off speed. To determine the take-off airspeed or rotation speed we will record the airspeed during a test take off. For better result, you can take the average value of different tests.